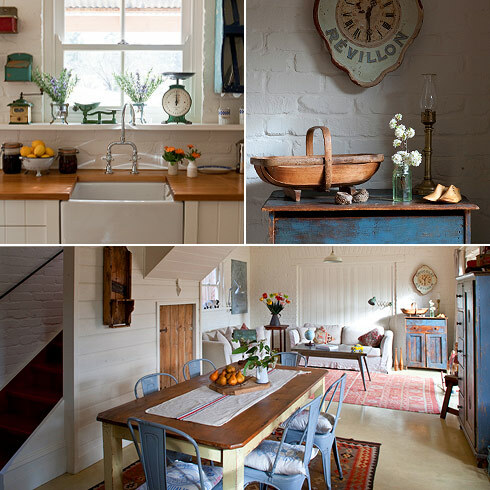 Red Brick Barn is a rustic two-storey retreat crafted with European sensibility. Set within a private three-acre property in a picturesque pocket of Chewton, it overlooks Forest Creek and the surrounding Goldfields heritage bushland. A walking track is at the door for a 15 minute walk to the wonderful Bold Cafe and Nursery, and the Wesley Hill Saturday Market. Or continue on to explore nearby historic Castlemaine with its wonderful architecture and vibrant cafe and arts culture. 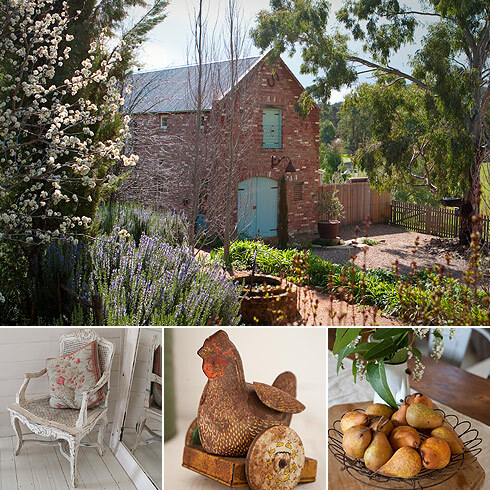 Red Brick Barn has an eclectic mix of European and early Australian antiques, including French industrial furniture and lighting, Turkish kilims from Anatolia and rare 'Depression' pieces from regional Australia. 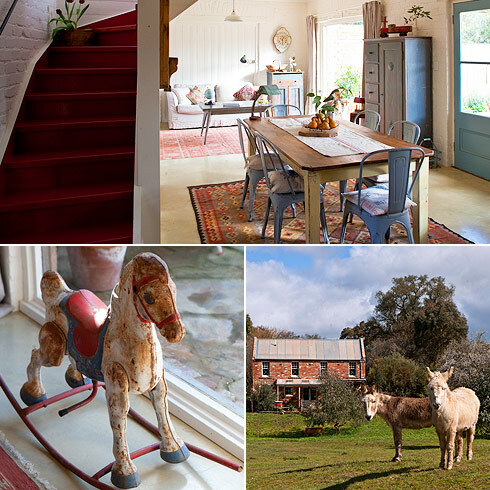 Red Brick Barn is less than 90 minutes from Melbourne and is a 25 minute drive to Daylesford. Copyright © 2019 RedBrickBarn.com.au - All rights reserved. Castlemaine accommodation. Photography by Simon Griffiths.